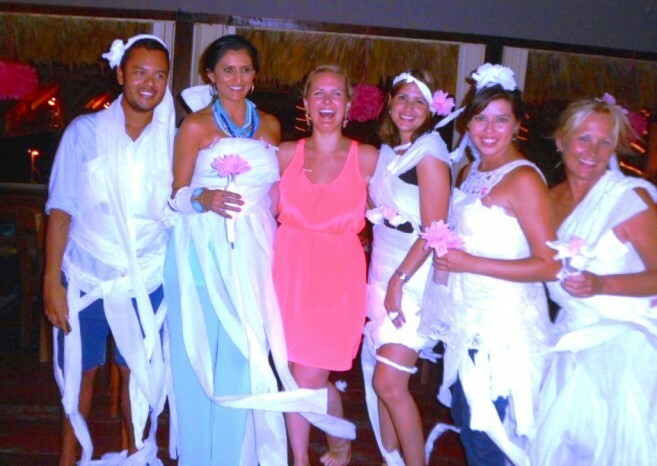 Home » Community and Society » Under the Sun and Stars: Bridal Shower & Charitable Donations! Courtney Bowen reviews possible island bridal gown designs by her friends in preparation for her Belizean wedding in San Pedro. Friends of the bride-to-be, daughter of Lady Dixie Bowen and the late Sir Barry Bowen, gathered upstairs at Fido's for a surprise pre-nuptial celebration last week. Courtney will reveal the actual design of her Belize bridal gown when she weds Peter Tully, longtime boyfriend from Boston, Massachusetts, USA. She and Peter exchanged formal vows in London, England, on April 4, at St. Paul's Cathedral. Three local organizations will benefit from the generosity of a family that has enjoyed living in San Pedro for one year. The Stevenson family, from Seattle, Washington USA, celebrated their son Liam's birthday on Saturday. Liam, a Standard 3 student at The Island Academy, handmade a donation box in lieu of gifts and received much support from the kids and families at the Caribbean Villas beachfront party. 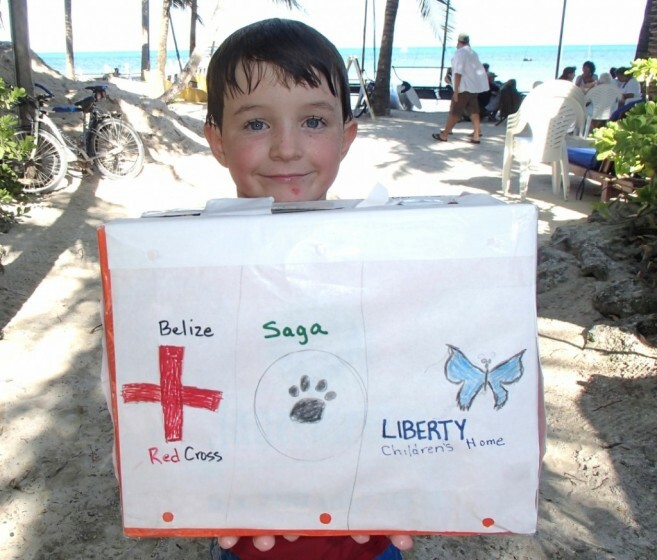 Liam raised $80 for the San Pedro Red Cross, where his mom Amy volunteered all year. Saga Humane Society, always a favorite of children, received $88.25 and Liberty House Children's Home will receive $80, donated through the Blue Water Grill fund-matching program. Thank you Liam and the Stevensons, and good luck in the future.